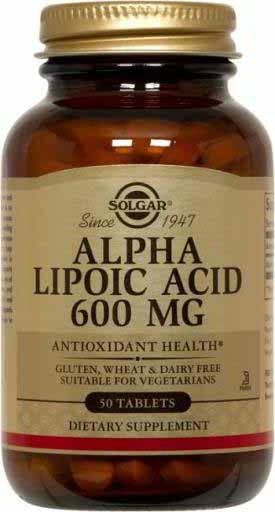 Alpha Lipoic Acid is a coenzyme and an antioxidant. It is referred to as the universal antioxidant because it is water and fat soluble, enabling it to function in both the membrane and aqueous parts of cells, to help fight cell-damaging free radicals in the body. Alpha Lipoic Acid supports the regeneration of glutathione, one of the body’s primary antioxidants, and helps to recycle Vitamins C and E, and Coenzyme Q10. In addition, it supports healthy nerve function and helps to metabolize sugar in the body.